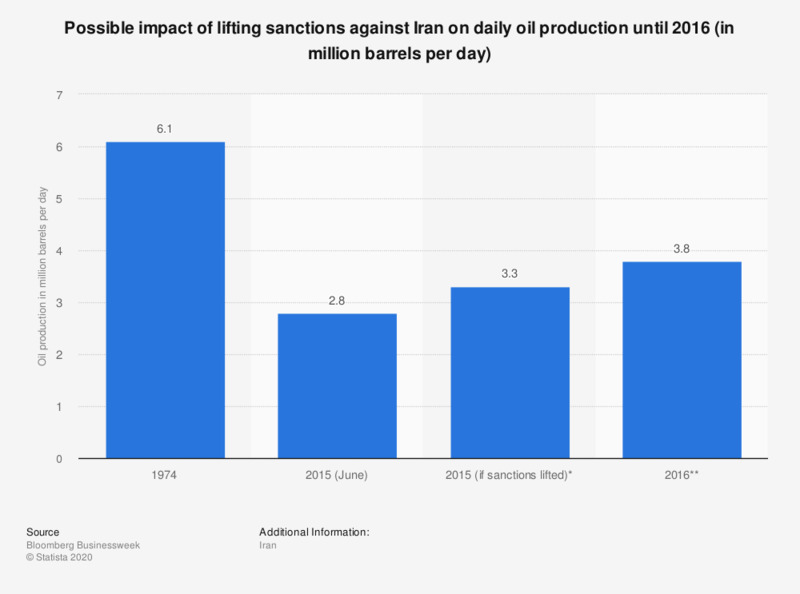 This statistic displays possible impact of lifting sanctions against Iran on daily oil production until 2016. As of June 2015, the country produced some 2.8 million barrels per day. Production estimates for 2016 and if sanctions are lifted may be considered optimistic. * According to Iranian oil minister's estimates. ** Six months after June 2015.